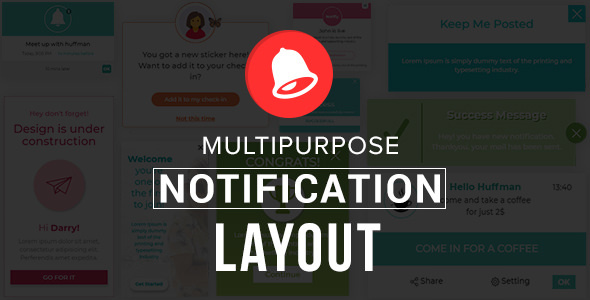 Multipurpose-Notification Layout is a bootstrap design notification set including with pair both having different color or both are opposing each other. If you are a web developer and you are looking for some notification design for your projects, this is the item for you. Notification boxes allows you to insert gorgeous, clean and responsive notification for any purpose.